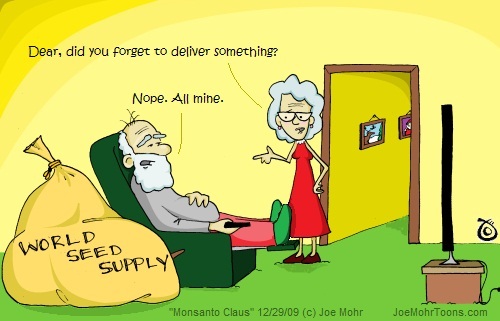 “Monsanto Claus” reposted from Wend Magazine’s blog. This cartoon was also re-posted as the image for the Organic Consumers Association’s take action item against Monsanto. This is an important petition to sign, you can do so here.